Domain authority has a great role to play when it comes to ranking position of your website. You should know all about domain authority if you want to stand out of the crowd from your competitors. Domain authority of the site is ranked after evaluating various metrics. To come out with the strength of the domain authority of a site many signals are evaluated. When you have understood that domain authority has a vital role to play in increasing the ranking strength of your site, you would definitely eager to know how to increase the same. Here are a few best ways that help you in improving your domain authority. All the online visitors are eager to get new information through quality content. ‘Content is the king’ when it comes to the virtual world. Your SEO rankings depend on the content. Google has its own algorithms to tell the web users about the quality of the content. Duplicate content, spun articles and copied content are not given the highest rankings. So, when you want your site to get the top rankings, then make sure you give the best content. It is a simple logic. When people do not find new information, they move to other sources. Readers do not find it entertaining to spend time on the content that does not appeal to them. You need to have links in your blog or site to get the good rankings. But do you think hundreds of backlinks that never work can do any good? Never! Remember the quality is of importance than quantity. You need to bring in quality backlinks from the other popular and authentic sites. When your links are from other sites, it goes without saying that you are associated with authentic sites. You can find a good quality backlinks enhancing your domain authority strength. You can find loads of techniques to achieve this. You can take help of freebulkseotools website for finding out the Page Rank and Domain Authority of your website. Social media is a great boon for those who want to stand unique among the manifold sites in the virtual world. You can take advantage of tweets and retweets. Every like and comment you get for your posts are precious. Your online existence is not complete, if you do not make use of the social media sites. You need to understand that social media is the right platform to reach the target audience across the globe. Your posts, and content in the social media sites can actually bring more traffic to your blog site. This in turn has a positive effect on your domain authority. Of the various algorithms in rating the sites, the search engines also consider your experience in the field. You get dishearten when you find the site is not ranking better when compared with your competitors. Understand as a newbie it takes time for your site to get reputed. The search engines will slowly start trusting your site, and you will start improving the domain authority. When you want to bring good rankings for your site, understand that you should build a good rapport with the rest of the bloggers in the online world. This is how you can add authentic backlinks, and this is how you can get more likes, comments and reports in your social media profile. You can write guest posts in the blogs of others and invite them to post in your blog. Contribute to the niche you love. Author Bio: Apoorv Yadav is a tech-enthusiast & writes at blog of freebulkseotools.com which is a free SEO tool to check any website’s stats. He is also a web developer & designer with specialize in front end development. If you’d like to connect with him, then drop a mail on engg.apoorv@gmail.com. « Why Apple iPad and Other iOS Devices doesn’t have Flash? The best piece of advice I’ve read is this: Write about something that you are genuinely passionate about. That way, it doesn’t feel like a chore and the quality content will naturally follow. Hi Siddharth your article is very good. Thank you very much. Really informative most for a new bloggie but another thing that i want to suggest is the speed of the website matters too for the domain authority. 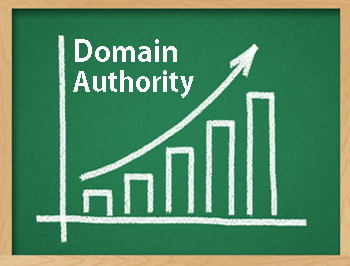 Domain authority has a great role to play when it comes to ranking position of your website. YES Mr. Siddharth, i agree with you a good domain authority can create best role on that occasion. your 2nd part about quality content. it is must true a good new innovate content depend on SEO ranking highest levels. As a beginner i would like to say thank you for sharing us a good article about demon authority and seo tips . Hi Siddharth your article is very useful Thank you very much.